Happy new year! There is something about January that I really love, a whole year looming ahead, fresh starts and that sort of thing. Right now I'm at work getting all new pieces ready for the Lipscomb Academy Art Event in Nashville coming up on the weekend of February 12 - 14, 2016. The painting shown here is one I'll have there this year...titled "Gaucho Leading the Leader", a 16 x 20 oil on linen. 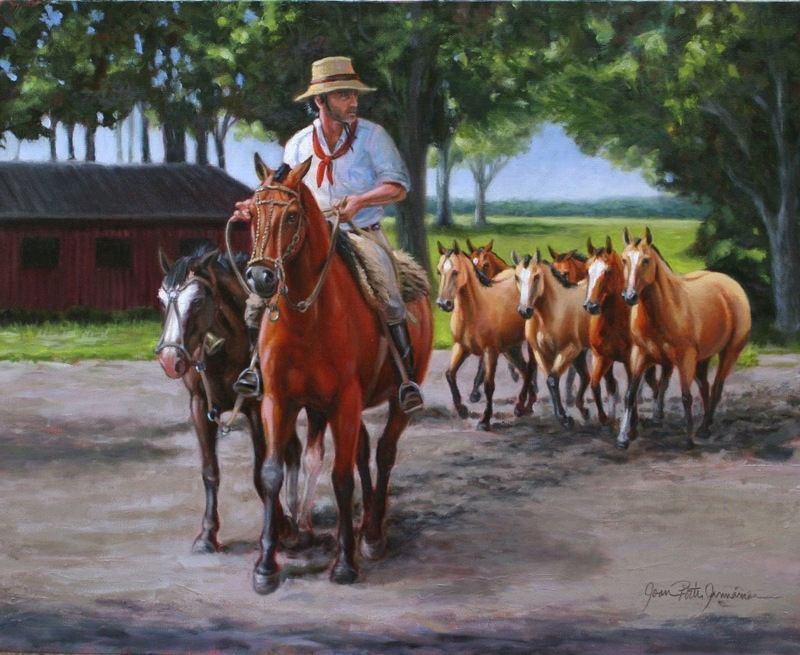 It was inspired by a recent trip to Argentina with the Criollo horses and the Gauchos outside of Buenos Aires. This is the first of a series I'd like to do with that theme.